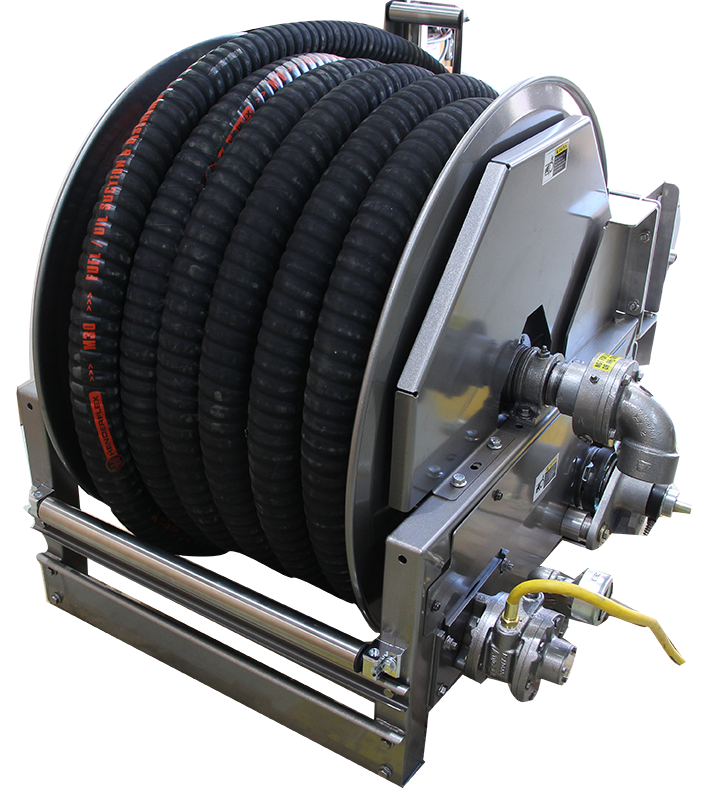 Equipment requirement calls for a suitable hose reel to be included in its onshore fuel dispensing equipment for diesel refuelling of their tug fleet. 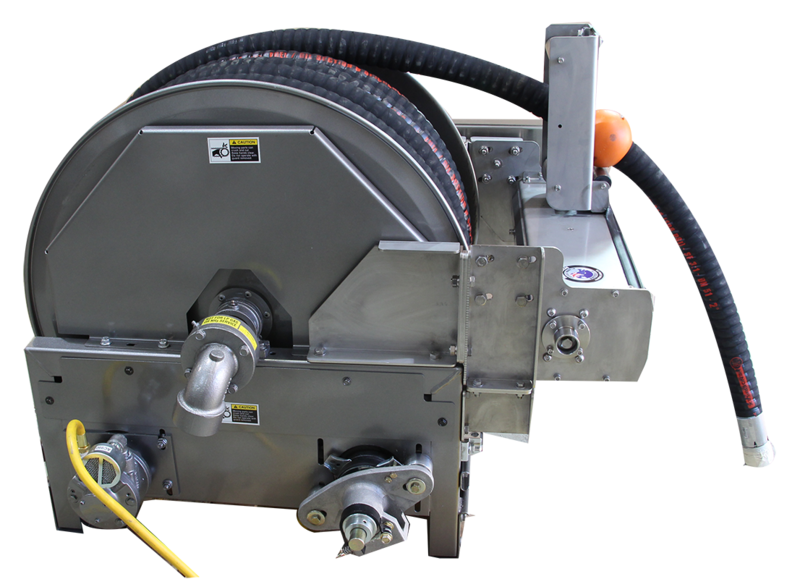 The reel required must be capable of storing large diameter refuelling hoses with minimal pressure drop, suitable for the corrosive environment, and offer safety features to its operators. The reel is powered pneumatically (Air Rewind) using Hi-Torque Pneumatic Drive Motor suitable for use in explosive and/or hazardous applications. 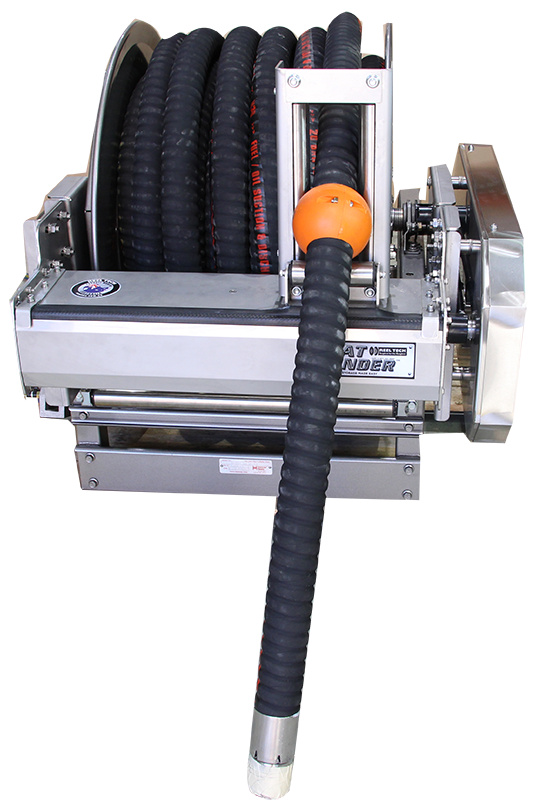 This motor provides the required pulling force to rewind the large/heavy hose whilst providing the operator with the right speed and torque adjustment for better user control. Reel comes with the patented Heavy Duty FlatWinder™ level wind system which automatically guides the hose on the spool during rewind. This feature is crucial to the design of the dispensing unit since all the equipment are enclosed inside a container making the equipment inaccessible to the operators. 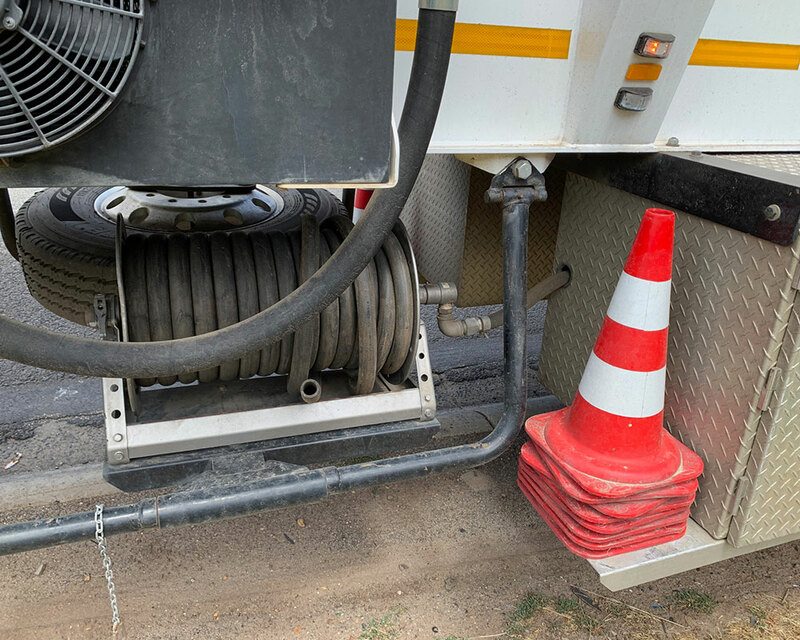 This was also coupled with a unique hose control system to control hose expansion which in turn allows for a more seamless reeling operation and eliminate hose jamming which is often problematic on these types of setup. 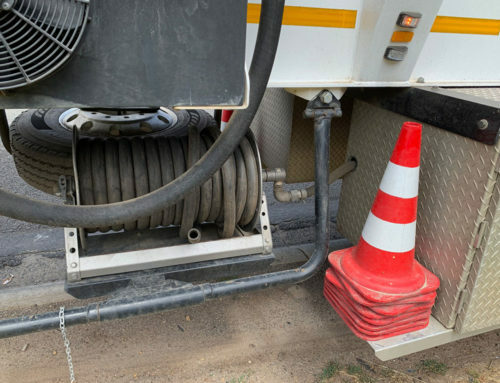 Due to the bulky nature of these delivery hoses, manual handling safety is a top priority for the operators. 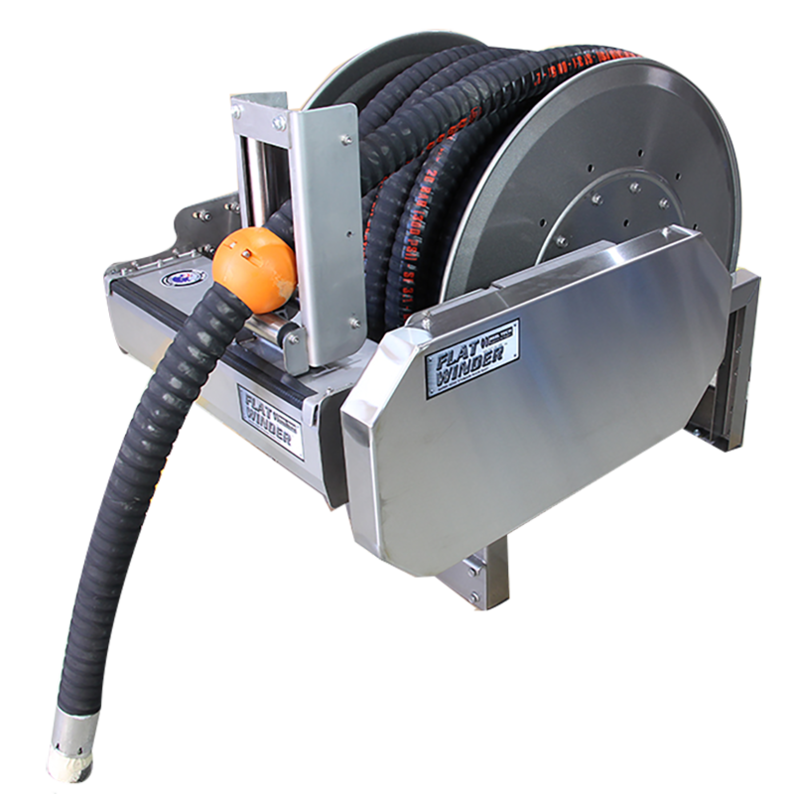 To assist in this area, Reel Tech has introduced its unique Ezi-Deploy™ Automatic Clutch System providing minimal drag resistance during hose payout which results in reduced operator strain and shoulder injuries. This unique system does not require any actuators at all and is fully automatic making the entire process more seamless. Many reels in the market use the cheap hub and swivel profiles resulting in significant pressure loss and poor outlet flow performance. This poor design often means that the hose needs to be sized bigger to compensate for such inefficiencies which creates design and handling issues which can significantly add to the overall system cost. Reel-Tech reels come standard with Full Flow Hub & Swivel Joint with far greater flow efficiency resulting in minimal pressure loss and greater flow output. For better corrosion protection, high-performance paint Specification #75 was selected for this particular reel. This unique paint specification is intended to protect the reels better than standard commercial paint or powder coat system. It is intended to give adequate protection to steel surfaces when exposed to normal commercial environments. This paint system performs on par with automotive systems, providing a minimum of 500-hour salt spray performance, 300 hours of QUV performance, and an 80-degree minimum gloss.